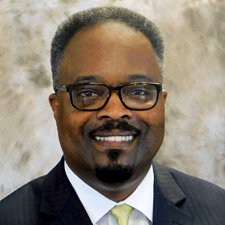 Ken Mathies serves as Assistant Vice President and Corporate Diversity Officer for The Auto Club Group – Automobile Association of America (AAA). Ken is a certified diversity professional (CDP) and has over 25 years of leadership experience with information technology organizations, business, marketing and legal operations. In this capacity, Ken leads the Auto Club Group (AAA) Office of Diversity & Inclusion organization and works collaboratively with executive leadership, senior management, business lines and employees to promote a corporate culture that advocates diversity and inclusiveness. Ken is a business major from Texas Southern University and holds certifications in multiple enterprise technologies, law of information security, forensic data investigations and a number of service management platforms. Ken has held a number of leadership roles for the Auto Club Group (AAA) including Director of General Counsel Legal Operations, Director of Enterprise Technology Support and Implementation, Technology Deployment; Network Implementation, Central Security Administration and Service Desk Operations. Ken serves on the Board of Directors for an Ohio-based Information Technology Corporation and also serves on the Board of Directors for the Michigan Diversity Council.